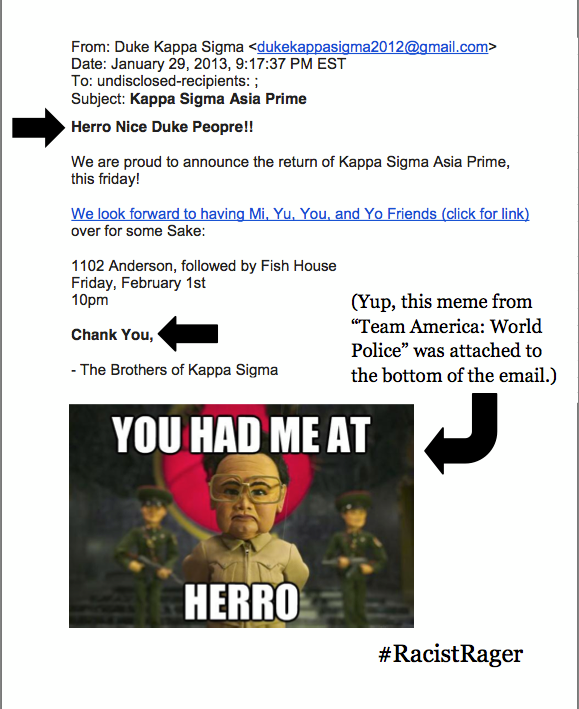 Yes, that was a bit tongue-in-cheek but after our tirade about rules, it seemed like the best place to start when writing about a fraternity at Duke getting in the dog house over a party called Asia Prime. Now, Duke has rules. Society has rules. Many are unwritten, but we have the Political Correctness Police to enforce those rules for us. That said the lads at Kappa Sigma should know that at Duke is OK to poke fun at Tar Heels, Red Necks, Everybody Who Walks Into Cameron Indoor Stadium, Mexicans, the Irish, Italians and a bunch of other ethnic or social groups. What they now know is they need to add Asians to the list that includes African Americans and homosexuals of those they may not joke about. Unless you happen to be a famous stand up comedian,musician or member of the minority in question, and then anything pretty much goes. We aren’t here to pontificate on what is right and what is wrong and what hurts whose feelings. However, we will stick our journalistic neck out though and assert that a bunch of frat boys throwing a party with an Asian theme is a far cry from a hate crime. They’re college kids for crying out loud. They’re knuckleheads. Knuckleheads that just learned a valuable lesson about the unwritten rules. 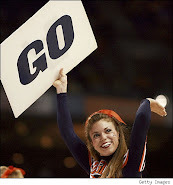 We Americans of all descent cling to odd conventional wisdoms in our society like “don’t let the refs decide the outcome of the game, let the players that break the rules decide it.” Add to that list of oddities the fact that whether or not we can make fun of a group seems to be based on math. Old, fat, white guys? Fire away, they are in the majority. Anybody not in the mathematic majority, watch your mouth. Even if what is said is true. Political correctness, unlike libel, does not use truth as a defense. Odd, that. But, we digress. Again, in the collective environment, the assumption by some is that hate motivates what one group sees as humor (crass as it may be) regarding a different group or what one group sees as what makes the other group different. We are encouraged to be individuals, but discouraged from pointing out the differences of what makes us such. There are a bunch of Asian-American kids at Duke (insert stereotype here about how damn smart those Asian American kids are, because...a bunch of ‘em are damn smart, so why is it wrong to say that if national test scores bear out the accuracy of the statement? Just sayin’.) as, like most college campuses, its a melting pot. Hey, just like America! Then a protest was organized to protest the party. To read more from Gawker, click here. To read more from the Duke Chronicle, click here. 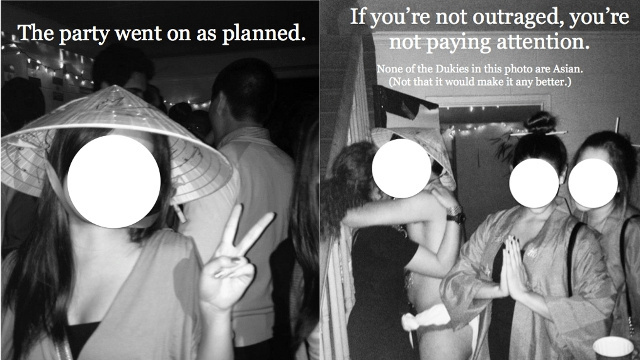 The Asian Students Association’s web site includes no mention of the incident and related backlash.